Setting out to celebrate, document and discuss the work and role of an international tapestry workshop, Dovecot Studios, since its foundation in Edinburgh in 1912, this ground-breaking publication uniquely explores the artistic value, nature and identity of modern tapestry through images, essays and the commentaries of weavers, artists and patrons. 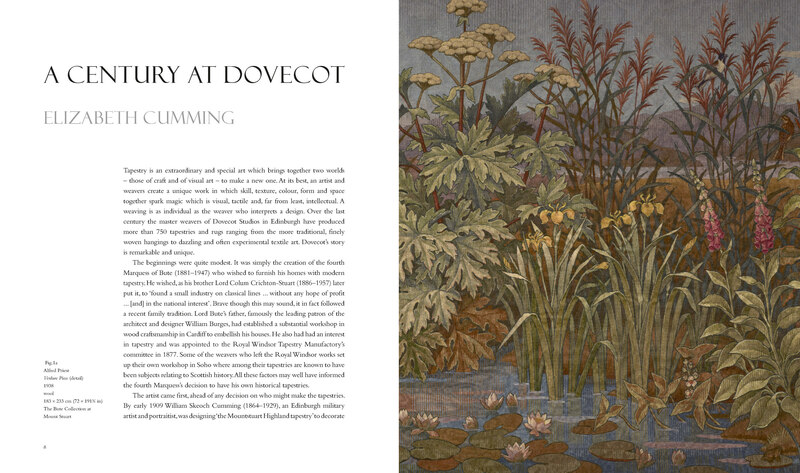 Dovecot Studios has constantly evolved since it was established before the Great War. 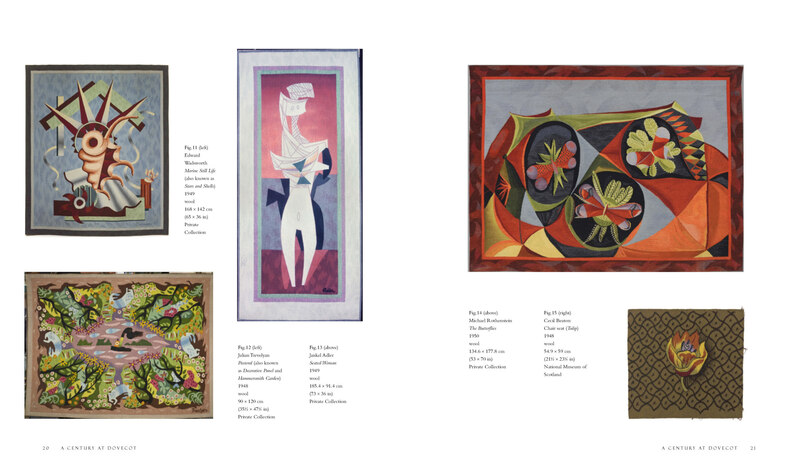 Initial Arts and Crafts ideals developed into a more proactive engagement with modernism from the 1950s, when designs came from leading British artists such as Graham Sutherland, Henry Moore, Stanley Spencer, Cecil Beaton and John Piper. In the 1960s international ambition partnered a quest for experimentation, as characterised by collaborations with artists such as Eduardo Paolozzi, David Hockney, Robert Motherwell and Louise Nevelson. 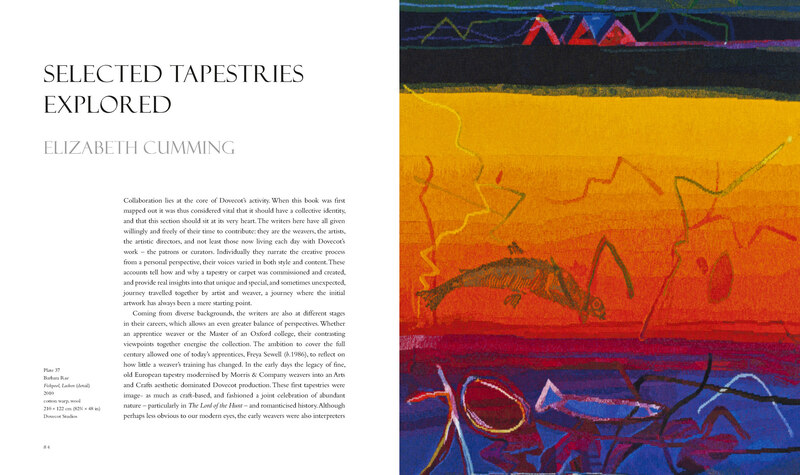 Throughout Dovecot's long history many Scottish artists have worked with the tapestry studio, and their intuitive sense of design and colour has often been richly matched by the imagination of the artist weavers. 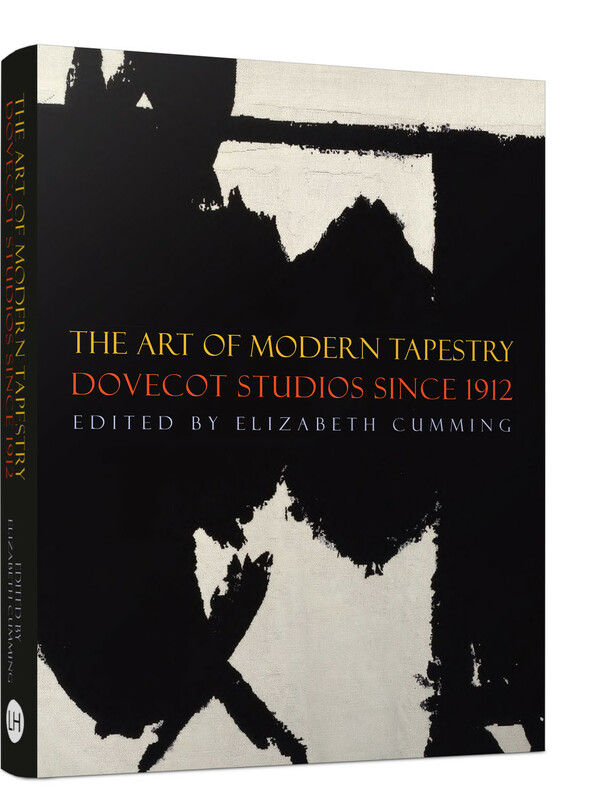 Experiment and partnership with innovative artists and makers have been, and actively remain, key to Dovecot's unique position within the fields of craft and contemporary art. Discussing Dovecot's history along with its contemporary work, and exploring the range of textiles produced by the Studio - which include wall hangings, chair-cover designs, carpets, textile mobiles and formal robes - The Art of Modern Tapestry offers the definitive account of one of the world's most innovative centres of textile-art production.